TAAN rescues 77 from Manang ~ Nepal Tibet Bhutan tour | Himalaya Holiday Services Pvt. Ltd.
A rescue team of Trekking Agencies’ Association of Nepal (TAAN) rescued 77 trekkers from different parts of Manang district on Thursday. Of the trekkers rescued on Thursday, 17 were Israelis, 29 Nepalis (support staff), 5 Indonesians, 10 Germans, 5 Spanish, 4 Indians, 3 Canadians, 2 Russians, and 2 Polish. TAAN had deployed two choppers – AS 350 B3 and MI 17 – for rescue works. TAAN executive members Coordinator of Mountaineering Department of TAAN Ang Pemba Sherpa, and Pasang Tendi Sherpa were in the rescue team. Similarly, TAAN President Ramesh Prasad Dhamala was in Manang to oversee rescue works, while Coordinator of TAAN’s Rescue Department Keshav Pandey coordinated rescue works from Pokhara. Likewise, 1st Vice President Kami Rinji Sherpa, General Secretary Sagar Pandey and Treasurer Gopal Babu Shrestha were at TAAN Secretariat to coordinate rescue works, while executive member Vidya Hirachan was at Tribhuvan International Airport. Meanwhile, rescue workers have recovered 10 bodies from Phu and Kangla area of Manang. TAAN had sent rescue team from land route in the Mustang side of Thorang La Pass. 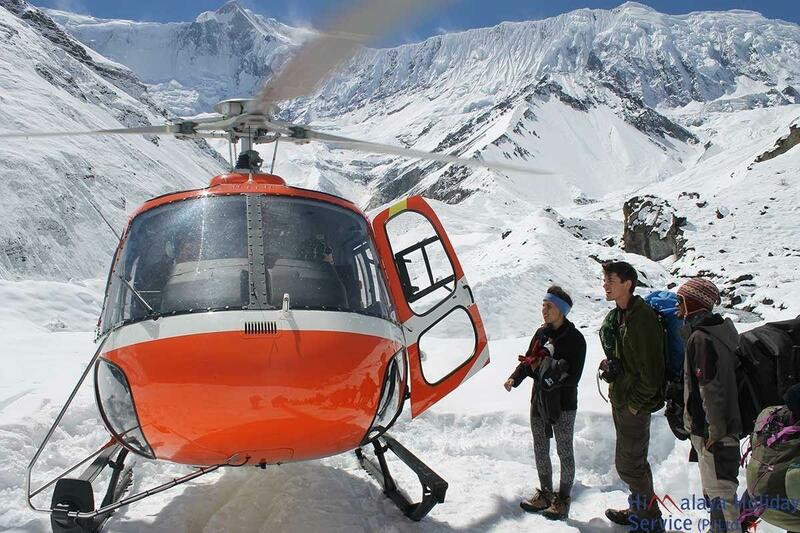 The team brought down five bodies – two Nepalis, two Israelis and one Polish. Similarly, one more body has been brought down to Jomsom. Their identity has yet to be ascertained. With this the number of deceased in Mustang side has reached 10. Rescue teams had recovered four bodies on Wednesday. “Rescue team of Nepal Army (NA) has told us that there are eight bodies near Doomcamp below Thorong Pass. We will bring them down tomorrow,” Hari Bhujel, second vice president of TAAN Pokhara Chapter, said from Mustang. According to Mustang CDO Baburam Adhikari, 64 trekkers from different countries, including Nepali support staff, were rescued from Mustang on Wednesday.